Ellen Murphy joined the College of Education Board in 2016. 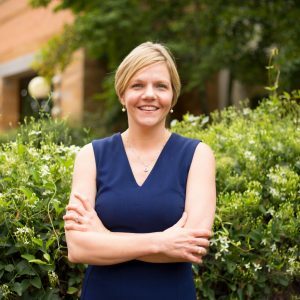 She holds a juris doctor from Wake Forest University, a master’s degree in education and a bachelor’s degree in agriculture and life sciences from NC State. She is the assistant dean at Wake Forest School of Law, where she developed the law school’s online Master of Studies in Law and served as inaugural director. Her work includes curriculum creation and design, graduate law program development, and teaching across platforms and face-to-face using web-supported tools. She has extensive eLearning experience and has been a student, teacher, administrator, trainer and education consultant in all forms of physical and virtual learning environments, including in synchronous, asynchronous, blended and flipped classrooms. Ellen is the former executive director of the Massachusetts Lawyer Assistance and Law Practice Management Programs. She developed the first course for graduate legal programs on contemporary ethical questions in the practice of law and comparative issues in other professions. Ellen is a co-author of three texts: Professional Responsibility: A Contemporary Approach; Legal Ethics for the Real World – Building Skills Through Case Study; and Unauthorized Practice of Law for Nonlawyers. Ellen and her husband, Steve Nickles, live in Winston Salem, North Carolina.